HONG KONG -- A University of Hong Kong professor was on Wednesday charged with murder after police found his wife's decomposing body stuffed in a suitcase in his office, the latest grisly murder to transfix the crowded city. Officers discovered the woman's body, wearing only underwear and with electric wire around her neck, hidden in the suitcase inside a large wooden box in the office of 53-year-old Cheung Kie-chung. The associate professor from the Department of Mechanical Engineering had reported his wife missing on August 20, saying she had not returned home after an argument three days earlier. Police said they became suspicious of Cheung after CCTV footage failed to show his wife leaving their home, while Cheung was seen moving a large wooden box out of the premises. On Tuesday afternoon police searched Cheung's office, a five-minute drive from the dormitory where he lives with his wife and children. He said the victim might have been strangled, but the cause of death still needed to be confirmed by a post-mortem. Law said Cheung, who will make his first court appearance Thursday, had told investigators he had a dispute with his wife on the night she disappeared over family toilet hygiene. 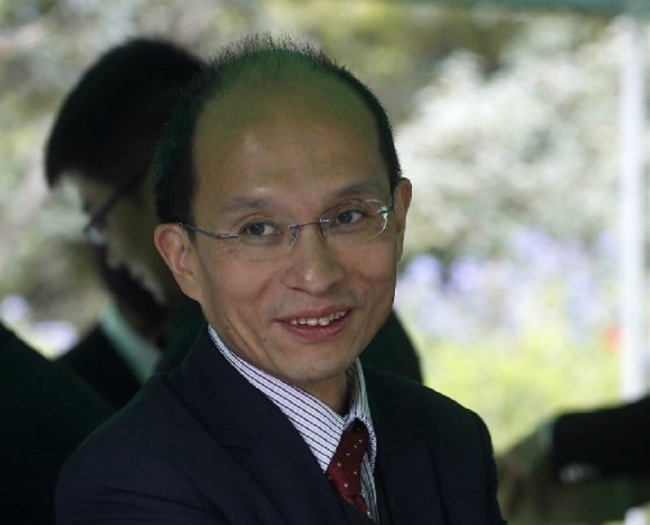 Zhang Xiang, the university president, said Wednesday he was shocked and saddened at the murder and described it as a tragedy. He said the university would offer support to students and colleagues affected. Another Hong Kong academic is currently on trial for using a yoga ball filled with carbon monoxide to kill his wife and daughter inside a car. The southern Chinese city, famed for its cramped housing but low crime rate, is occasionally rocked by high-profile murders that often involve gruesome attempts to hide or dispose of bodies. In 2016 British banker Rurik Jutting was jailed for life for the murder of two Indonesian women in Hong Kong. He stuffed one of their bodies in a suitcase and placed it on his balcony.